My first experience with the Broad Brook Opera House in Connecticut was the revival of She Loves Me. That play set the bar incredibly high for Broadway-like theatre in a regional setting. When I heard that the Opera House’s next production was Man of La Mancha, I was, to say the least, somewhat trepidatious. Tackling one of the darlings of Broadway (the original production ran for over 2,000 performances, won five Tony awards including Best Musical) was a Herculean task. 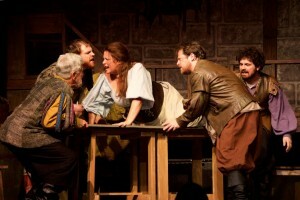 First, the Escher-like structure of a play within a play with actors playing multiple roles is difficult at best. The story of a “mad” knight who saw life as it should be rather than as it was, can be difficult to pull off without it being “over the top.” The musical demands of the lead, Cervantes/Don Quioxte proved to be too much for the great Rex Harrison who had to bow out after previews. 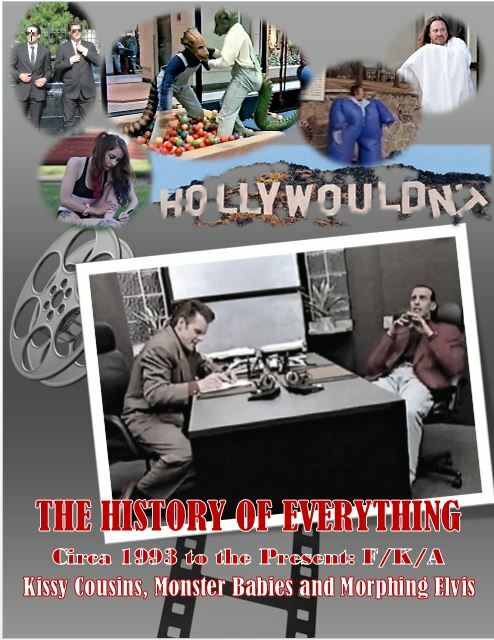 Other actors who played the lead included Richard Kiley, Jose Ferrer, Raul Julia, Brian Stokes Mitchell and Robert Goulet – all tough acts to follow. And then there is the iconic theme song – “The Impossible Dream” – that has been covered by such greats as Robert Goulet, Alfie Boe, Jim Nabors, Frank Sinatra and even Elvis Presley. I am happy to report that the version of Man of La Mancha put on by the Opera House succeeded in its quest! The show was terrific. The theme that one should never give up on his/her hopes, dreams and goals is powerfully conveyed in this Broadway-level production. 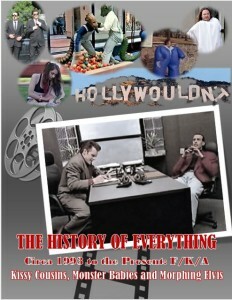 The acting by the entire cast was impeccable. 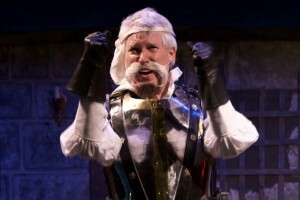 John Baran, a former TV pro, played de Cervantes/Quixote with both charm and candor. His rendition of “The Impossible Dream” was able to stand among the greats. Carl Calhoun played manservant/sidekick, Sancho Panza, with just the right amount of sarcasm and humor. 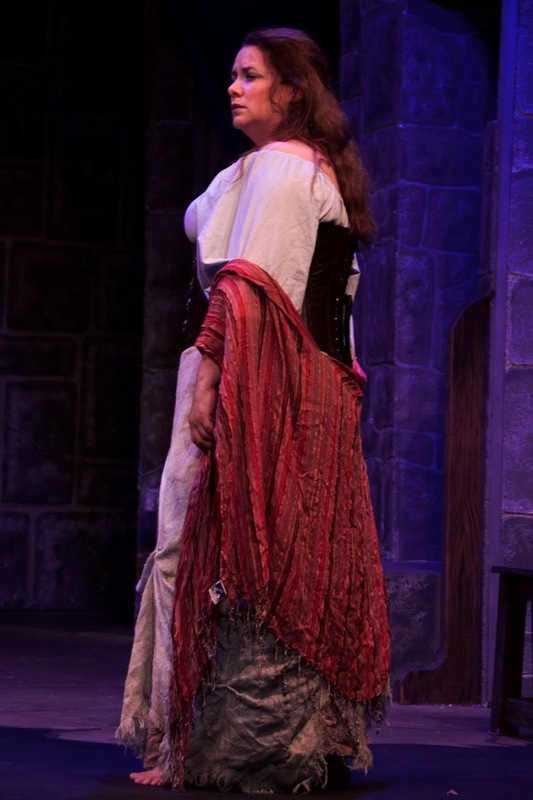 Erica Romeo was fantastic as Aldonza/Dulcinea, portraying a tough exterior and a beneath-the-surface vulnerability that captivated the audience. Her operatic singing voice was a definite plus. And Jim Metzler’s singing voice as the Padre could melt butter! His soothing version of “The Psalm” made me yearn for an encore of “Ave Maria.” Rodney K. as Pedro made you hate him and his whip. Brad Shepard (last seen in She Loves Me) was assertive and authoritative as the Governor/Innkeeper. Thomas Schultz, Mary McCue, Reva Kleppel (also last seen in She Loves Me) as, respectively, Duke/Dr, Carrasco, Antonia and Maria/Housekeeper, rounded out the great main cast. Kudos also must be given to a wonderful supporting cast, Harry Evangeliou, Sudie Evangeliou, Madeline Lukomski, Bob Marche, and Tina Sparkle. The standing ovation at the end of the curtain call was well deserved. Overall, the Opera House’s Man of La Mancha triumphed in its quest to follow the impossible dream and see theatre as it should be. A jaunt to New York City isn’t for everybody. Whether it is the commute, the city traffic, or navigating the area by foot, it’s just not everyone’s cup of tea, so to speak. But if you are a lover of theatre and culture, tourists be damned, it is well worth one’s time and energy to hit Broadway at least occasionally. That aside, however, there are other alternatives if one wants to take in Broadway-caliber productions at a fraction of the price with far less of a travel headache. 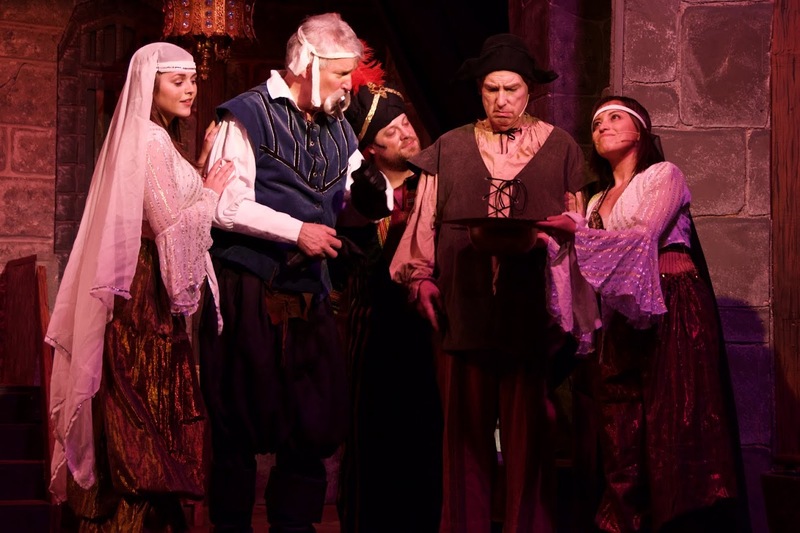 For the second time, Wayne and I have had the pleasure of seeing productions by The Opera House Players at the Broad Brook Opera House in Broad Brook, CT. Last evening’s Man of La Mancha was simply incredible. It was flawlessly directed and choreographed by Anna Giza with musical direction by Steven D. Cirillo; we plan to return again and again. As we eagerly settled into our seats in the recently refurbished and spectacularly quaint theater (what a gem! ), we were hopeful that this performance would equal the first work we saw there: She Loves Me, which premiered last September. We soon would find we’d be far from disappointed! While waiting for the production to start, we took in the set design, skillfully created by George LaVoice and Audrey Corman who deftly worked with the modest stage dimensions to create a realistic dungeon that was used for holding prisoners during the Spanish Inquisition. And then to signal the start of the show, due to the limited stage size (there is no backstage) the cast of approximately 16 marched through the aisles and into their places on the boards. Man of La Mancha is a fanciful tale of the man known as Miguel de Cervantes, played by John Baran, who is on trial for an offense against the church. 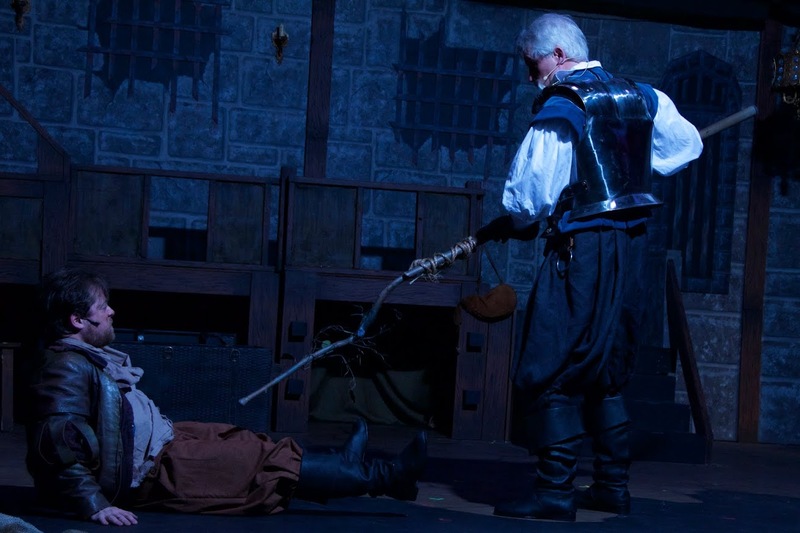 He is tossed into the dungeon with his faithful manservant, played by Carl Calhoun; they await the Inquisition while fellow prisoners loot their trunk of belongings. In an effort to save his prized manuscript, de Cervantes elects to defend himself by creating a play about the chivalrous Alonso Quijana who later dubs himself Don Quixote, using the fellow prisoners as actors. Most of Man of La Mancha is a play within a play – requiring actors to morph from one persona into another. All of them seamlessly do so. Baran is a wonderful as de Cervantes who also adeptly slips into the Quijana/Quixote character; his vocal talents are masterful in his rendition of the instantly recognizable “The Impossible Dream” – he had his work cut out for him following such greats as Frank Sinatra and Elvis Presley, yet he accomplishes this task. 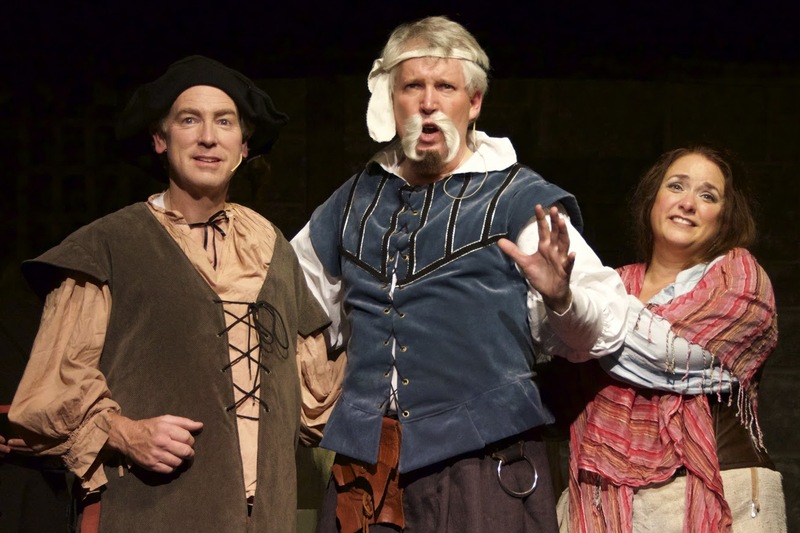 Calhoun, the manservant who also glides into the character of Sancho Panza, is both amusing and entertaining, and demonstrates impeccable comedic timing. But nearly stealing the show was the virtually flawless portrayal by actress Erica Romeo as the dungeon denizen who de Cervantes dubs Aldonza (a serving wench and part-time prostitute who has lived a very hard life) and is soon to become the object of Don Quixote’s affection – his lady Dulcinea. Romeo is an incredible talent and is triply a comical, brusque, and vulnerable character all rolled into one. 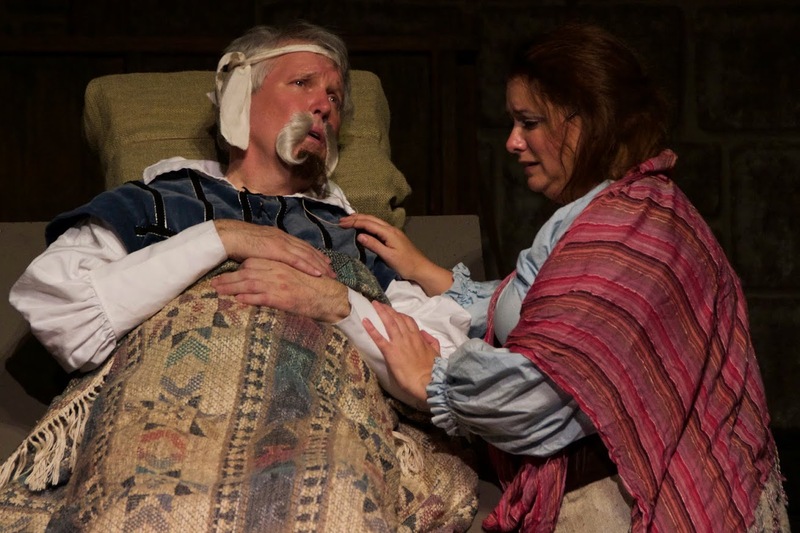 We were familiar with the talents of Brad Shepard who we’d seen in She Loves Me, as the prisoner-turned-governor/innkeeper. He again was incredible this time around. Jim Metzler’s vocal ability was unrivalled as Padre. Rodney K.’s Pedro was as evil as one could be. Not to be missed were the other phenomenal supporting performances by Madeline Lukomski, Tina Sparkle, Thomas Schutz, Reva Kleppel, Mary McCue, Bob Marche, Joshua Prouser, Harry Evangeliou, Matthew O’Reilly, and Sudie Evangeliou. There is nothing like the intimacy of live theatre. And when a show is presented with this level of professionalism and artistry, it demands to be seen. 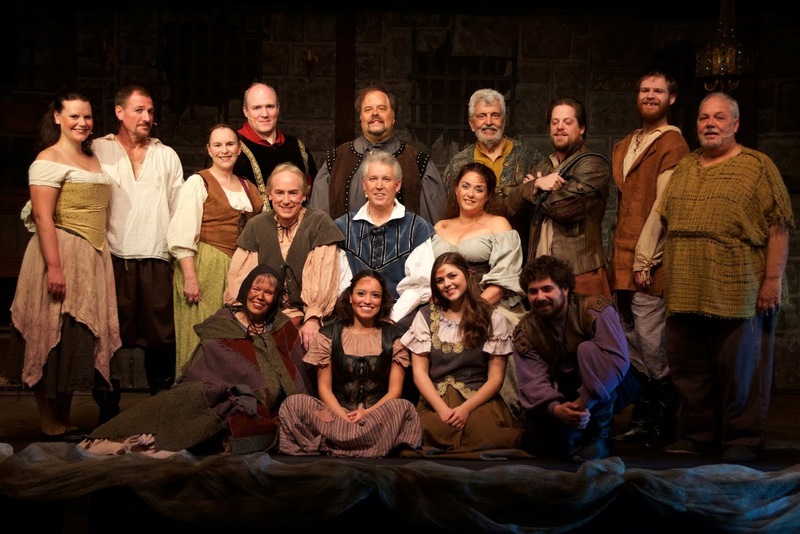 It is no wonder that Broad Brook’s opening night of Man of La Mancha opened to a sold-out crowd and received a standing ovation. It was well-deserved!